To be able to send and receive text messages are just two of the most basic functions a mobile phone could do. Phones from the past decade can do these things without any issues but why is it that smartphones nowadays seem to have a difficult time sending and receiving text messages? We have received quite a lot of complaints from our readers and among the most common issues are related to text messaging. 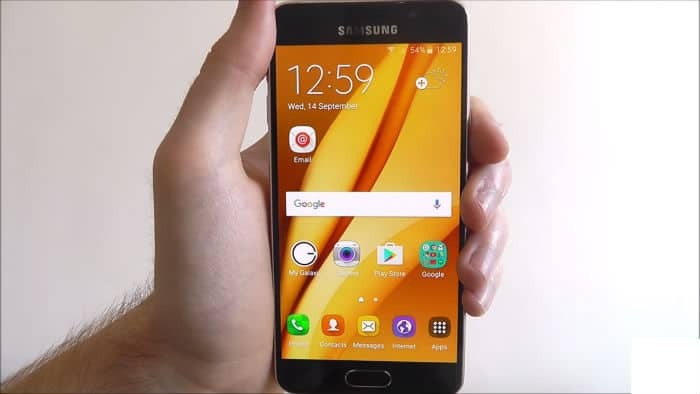 In this post, I will tackle the texting issues sent by Samsung Galaxy A3 owners. We will have to look into all possibilities and try to rule out each of them until we can pinpoint what the problem really is and what needs to be done to fix it. Texting issues may occur if your phone has some problems detecting signal from the tower or connecting to your provider’s network. There are also times when they occur due to network-related problems and only your service provider can fix. So, we only need to determine if the problem is on your end or not because if not, then it’s time for your service provider to provide solutions. Problem: I have a Galaxy A3 phone and recently it’s having difficult time sending my text messages but I can still receive all texts sent by my brother. I’m not really sure why this is happening since it started out of nowhere. Can you help? Obviously, this doesn’t fix the issue but it will give you an idea if the problem is with the network or your phone. So, it is imperative that you do this step before doing any troubleshooting procedures. If your phone cannot make a phone call, try to check the signal indicator and if it shows there’s decent signal, then it’s a network problem and as early as now, you should already call your service provider and have this problem checked. More often, network problems can be fixed after a few hours and all you can do is wait until further notice. However, if your phone can still make phone calls, then the problem might have something to do with the settings in your phone. The Message Center Number may appear like a phone number that needs to be set in your phone so that it can successfully send SMS or text messages. There are times when it’s deleted or has to be edited to reflect the correct number. During my tenure as a technical support representative to one of the wireless companies in the U.S., my former company had to change the center number and a few minutes after doing so, thousands of calls come in and majority of those calls has something to do with text messaging. What we had to do is give the customers the new center number and walk them through setting it up in their phones and that should fix the problem. Tap the menu icon (3 dots on the upper right corner of the screen). If you can see a number in the field, then try to check if the number is correct. You may search online for the correct Message Center Number of your service provider or you can call the hotline and ask the rep for it. If there’s no number in that field, I suggest you call your service provider as they might have to re-provision your phone. If desired, tap Backup my data to move the slider to ON or OFF. After the reset, try to send a text message to your own number to see if it goes through and if you can actually receive it. If the problem still occurs, then bring the phone to the store and let your provider’s technician determine the problem. Problem: Hello guys. I am hoping that you could shed some light to the problem I’m currently experiencing with my Galaxy A3. I send text messages just fine but nothing is going in. I know because I tried using my girlfriend’s phone to send my number a text message and I never got it. Oh, and I did it 3 times just to be sure. So, basically, I can send a text message but can’t receive one. Do you know how to fix this? Thanks a lot. View the Available space value. Tap Messages in the default list or tap MORE > Show system apps to display pre-installed apps. After this, send a text message to your own number and if it goes through but not received, then move on to the next step. If the problem still occurs in safe mode or even after you did all the procedure above, then move one to the next step. If all else fails, then you need to reset your phone to bring it back to its default settings and then you can try sending a text message to your own number to see if would work. However, make sure you backup all your files and data as they will be deleted during the process. After backing up your important data, disable the Factory Reset Protection (FRP) so you won’t be locked out of your device and after which, feel free to reset your device. Now send a text message to your own number to see if it works this time. If still no, then you need help from your service provider.